S/Sgt. Cleo . 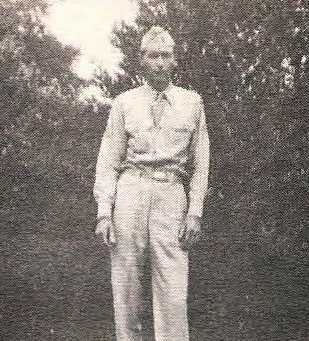 Mogan, son f Mrs. M. E. Morgan, Olney, husband of Tura George, attended Newcastle High. Entered AAC, 1942, trained at Gulfport Field, Miss., Ft. Worth and Ellington Field, Tex. Served in ATO. Discharged in 1946.